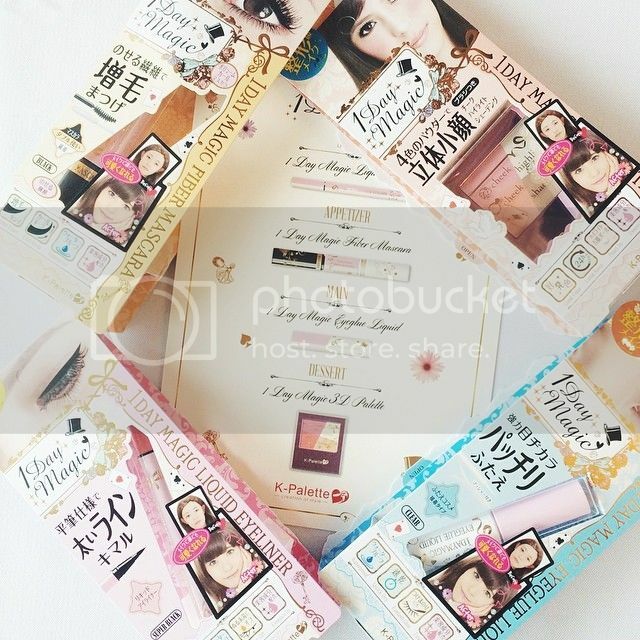 K-Palette is an award winning Japanese makeup brand best known for its 1 Day Tattoo eye makeup range. Recently, I was invited to attend K-Palette’s beauty workshop where we were introduce to the 1 Day Magic series – an improved product range consisting of 4 essentials that can effortlessly enhance, contour and magically transform. At the beauty workshop, we were taught by the talented Ms. Miho a step-by-step guide to create trendy makeup looks… very kawaii but natural! ** I won’t be reviewing on the 1 Day Magic Eyeglue Liquid as I have no need for it due to my natural double eyelids/long lashes. 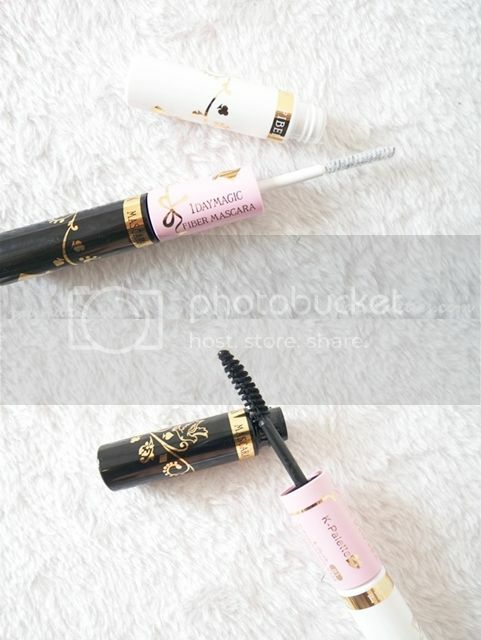 Basically, it aims to create long-lasting and natural-looking double eyelids with its strong adhesiveness & waterproof feature. But what’s amazing about it is that it also doubles up as false eyelash glue that’s designed to dry up quickly to counter smudge-prone lids! 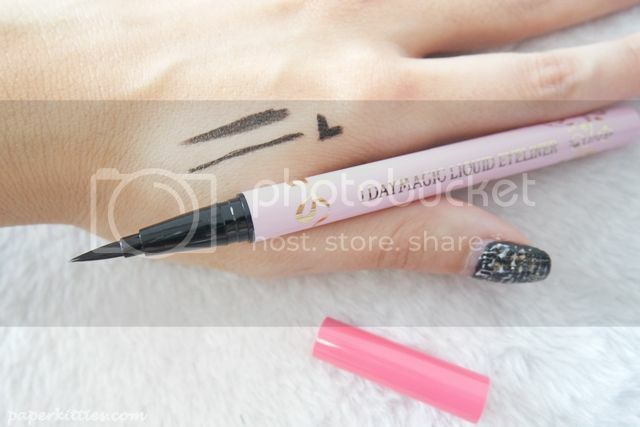 1 Day Magic Liquid Eyeliner is a fast-drying formula that shuts out water, sweat and sebum. Due to its flat-tip eyeliner brush nature, you can achieve up to 3 times the thickness in a single stroke, or simply just stick to a thin stroke. As per all of K-Palette’s cosmetics that not only prettify you, it also promises to encourage eyelash growth during application! I like how it is waterproof and able to withstand our humid weather without smudging. Despite not being a fan of a soft-tip brush, I find it easy to control without giving me crooked lines by using the flat side of the brush to line my eye. Last but not least is my favorite of the series – 1 Day Magic 3D Palette! Combining 4 natural colors in the face palette, I can easily contour and highlight my face any time of the day with its convenient and portable size. It’s actually a must-have in my gym toiletries pouch as it saves me the hassle of bringing too much stuff on top of my gym stuff. The 1 Day Magic 3D Palette is also embedded within the long-lasting color palette includes: hyaluronic acid, water soluble collagen and shea butter.. makeup + skincare, woohoo! The colors are also pigmented and easy to blend; and on desperate days, it doubles up as an eyeshadow palette too~ What’s not to love about this product right?! #MOTD after gym using K-Palette 1 Day Magic Series (excluding eyeglue)! Next Post StriVectin Clinical Corrector Collection – Face Tint, Eye Illuminator & Lip Tint!